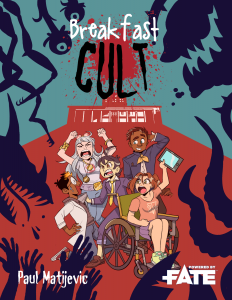 All Breakfast Cult books are available through DriveThruRPG. The main book. Contains everything you need to play Breakfast Cult. Available in PDF, softcover, and hardcover formats! The first of several expansions, created as a Kickstarter stretch goal. 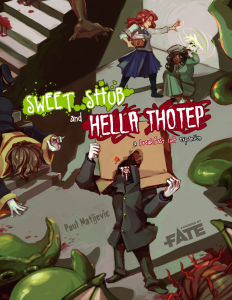 Sweet Shub and Hella Thotep adds some of H.P. Lovecraft’s Cthulhu Mythos to Breakfast Cult, with Ancient One entries for Cthuhlu, Nyarlathotep, and Shub-Niggurath, classic Mythos creatures like the Deep Ones and Mi-Go, and a Mythos-themed alternate setting. Available in PDF and softcover. The second Kickstarter expansion and the first to expand on the core setting. 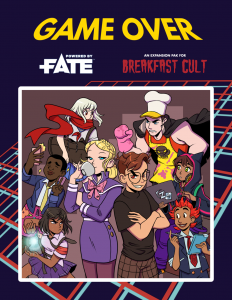 Game Over explores the world of Breakfast Cult further by exploring some of the setting’s technology (including cybermancy and virtual reality) and the Factions trying to influence it behind the scenes, from the protective Student Council to the scheming Computer Appreciation Society to outside forces like Arc Zaibatsu. It even adds new sample characters, encounters, and digital-themed Ancient Ones to keep students on their toes! The third Kickstarter expansion. 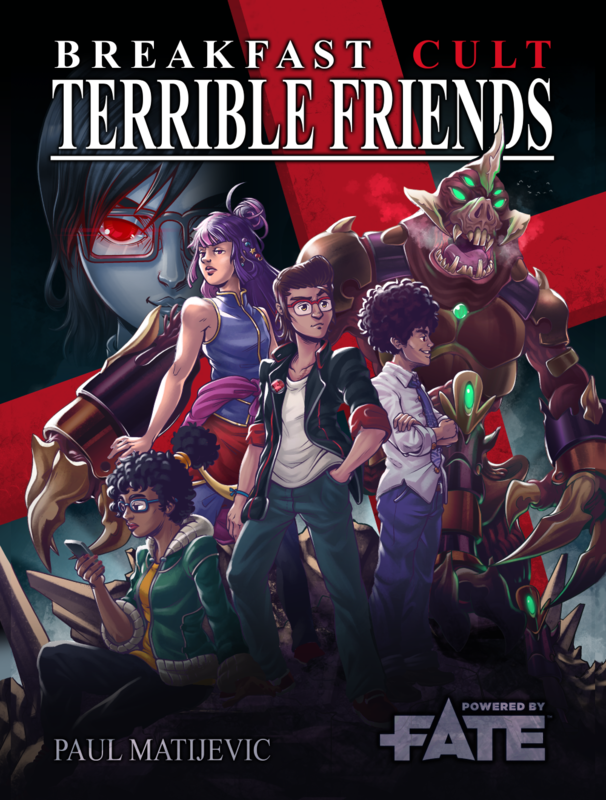 Terrible Friends explores some of Breakfast Cult’s actual cults: their origins, their secrets, and ways to use them in your games. As well as expanding the cults in the core book like the Disciples of the Cold Ones, Great Wave Society, and Sunrise Heavy Industries, it adds several brand-new cults, new sample characters, and nefarious new encounters.